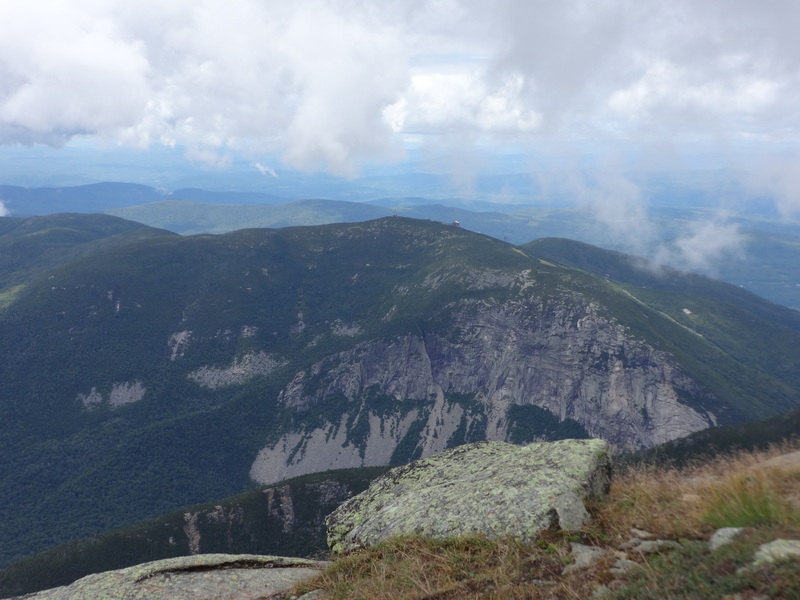 Trail log: After our vacation to Colorado (Post Coming soon) I was forced to take a break from NH hiking while my funds had some time to replenish. Patton on the other hand was nearly at his breaking point when we were finally able to go out again. Abby had to work so I asked a couple of friends if they wanted to join and they were very happy to go. Knowing that we were doing one of the more popular trails in the Whites I wanted to start early. We go to the trail head around 7. There were already a lot of people there but we still got a parking spot. Off we went with a perfect hiking day to enjoy, the weather was perfect. 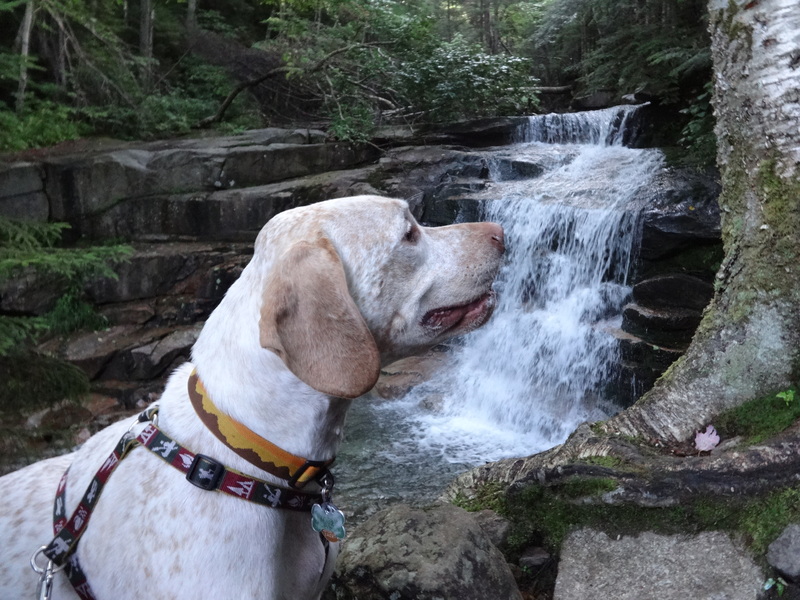 The many waterfalls and cascades on the Falling waters trail make it one of my favorites for sure. I usually give myself plenty of time to do this hike because of the many wonderful places to stop and enjoy the landscape. I recommend you do the same if you do this hike. 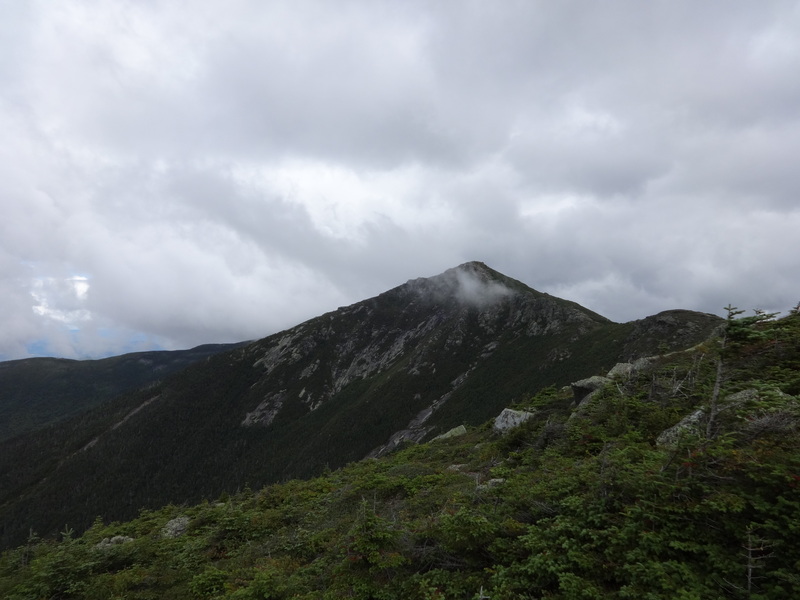 Once you get to the ridge line you are welcomed by the scores of people for one but secondly and most importantly you are shown perhaps one of the best views in all of the White mountains of Franconia Notch and the Pemi loop. 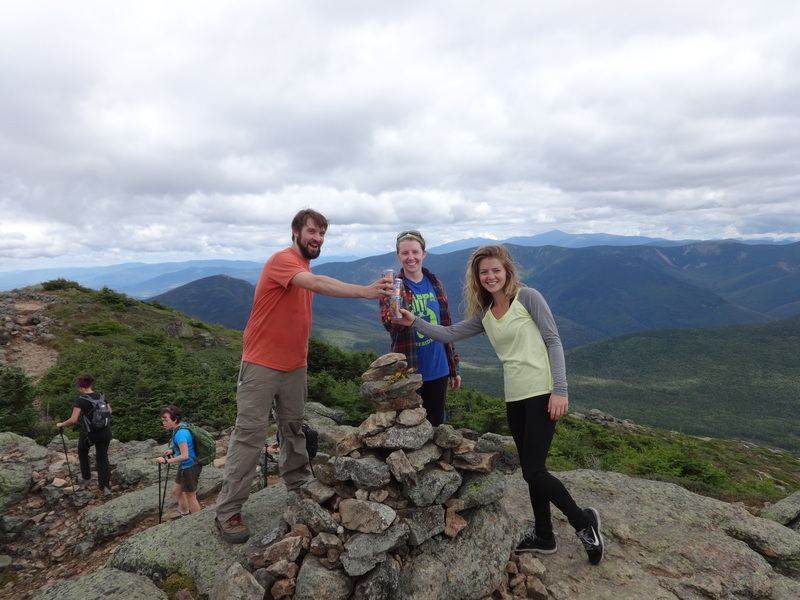 It is a breathtaking ridge walk across 3 fantastic mountains. There is a site a moment, its just very crowded. We spent a good amount of time letting large groups pass us while we waited for our time to get back in the line across the ridge. Cannon from the top of Lincoln. A celebratory beer a top Lincoln. 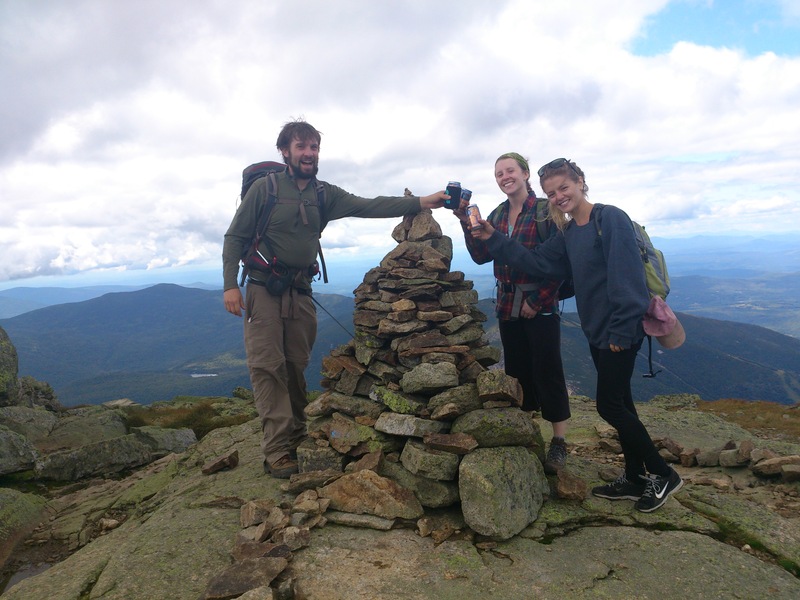 Sam Adams Octoberfest was the beer of choice for this hike. The two other times I have done this hike the wind a top of Lafayette was intense to say the least, this trip though was a pleasant surprise when the wind was almost completely calm. We did not spend too much time on top though as we wanted to separate ourselves from the crowds. We had a quick snack and away we went on our way down. Our second beer a top Lafayette! Lincoln on the way down Lafayette. 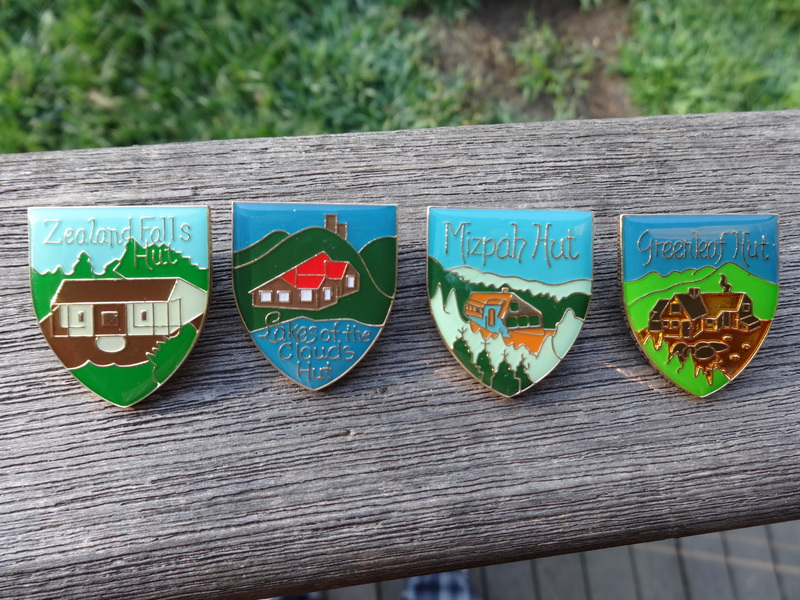 We ended up stopping at the greenleaf hut for their hut pin which I have been collecting when I go by a hut. Of the seven huts I have four now and in hopes of getting the rest before the end of the season. With Patton whining to go we made our way to the base with some great pictures and stories to tell. It took us about 7 or 8 hours to do this hike with a lot of waiting for large groups. 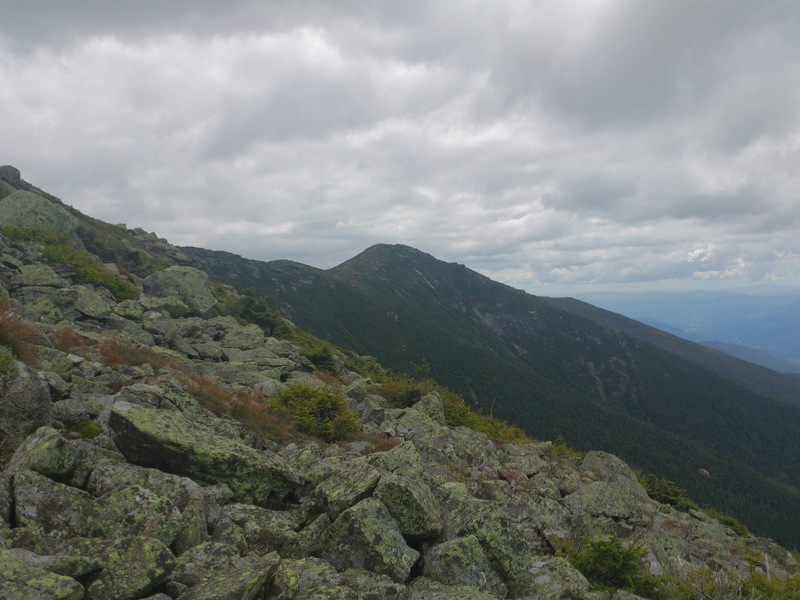 Even with the large amount of people we had a great day and I recommend this hike highly still, just get there early or you will be parking along interstate 93 which might be less than ideal for some folks. Check out the rest of our photo’s here. 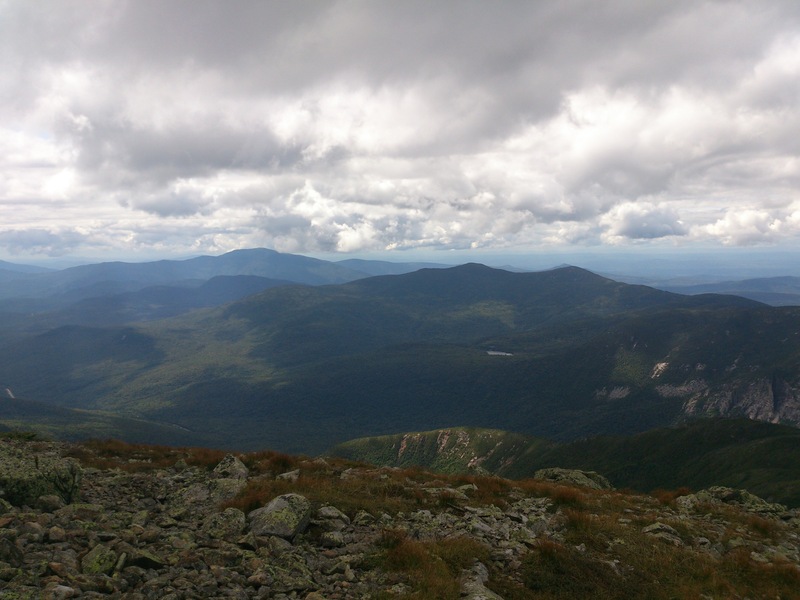 August 25, 2014 in 4000 footers, Hiking, New Hampshire, outdoor, Uncategorized, White Mountains. Nice report! I remember passing your group on the ridge – Patton is a very recognizable dog! 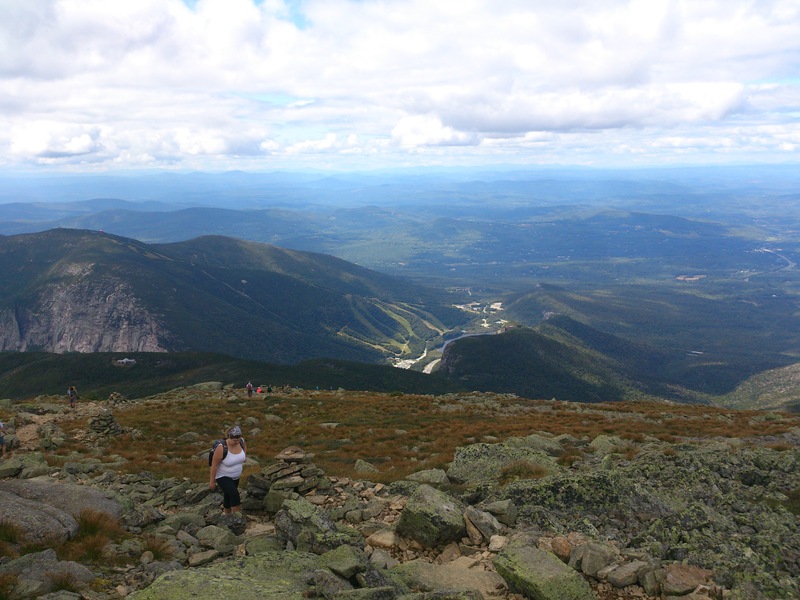 😉 My husband and I were out doing a Franconia Ridge traverse, you might remember us, my husband was the guy in the kilt. Our trip report will be up soon, pending a week-long business trip. Yes we remember you folks. What a great day to be out hiking. I really like your blog as well. You have been at it for a while too, good for you. Thanks for reading mine. I will keep an eye out for you on the trails. Happy hiking!